Upon writing this I’m feeling pretty tired from taking stocktake all week at my work (we have a lot of stock). So while I had grand plans this week to get my act together and take some pictures for blog posts, continue writing said blog posts, working on projects etc… the net sum of what I have achieved is, well, less than satisfying, mostly consisting of sleep! 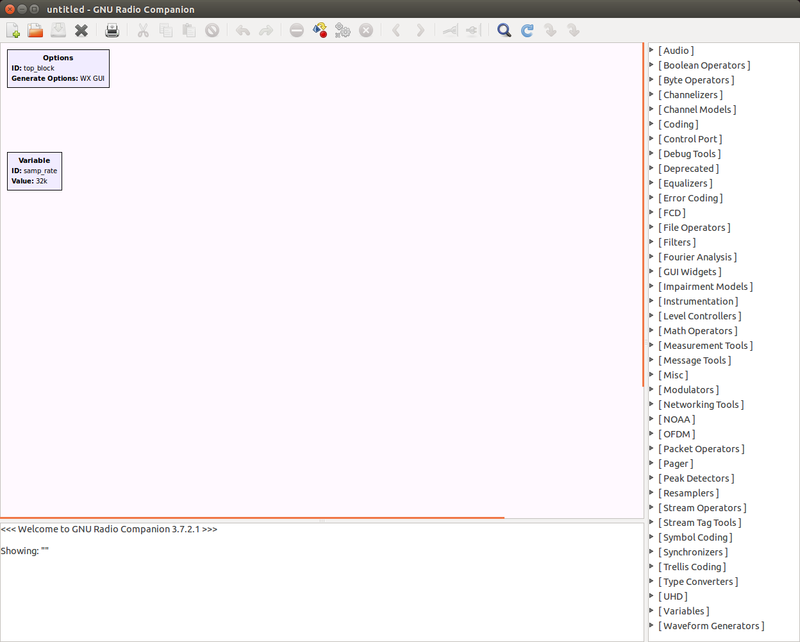 To spite my unproductive week I do count one small victory in the fact that I finally worked out how to install a piece of software called GNU Radio on my Ubuntu (Linux) drive. Previously the process for installing GNU Radio has alluded me (I haven’t really used Linux too much or had to install programs on it) ending up in various error messages. However tonight I found out what the issue was with my prior attempts and finally it is all working (FYI I was missing the pesky “sudo” command and in hindsight the process is really simple). As I said a small victory, here it is running. I’ll be using GNU Radio in future posts to interface with my software defined radio and do some interesting things but that’ll have to wait till then.